Never miss your favorite shows again! 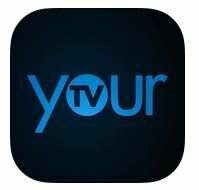 Activate the YourTV app on your smartphone or tablet, and you can schedule all of your favorite programming from anywhere. The service is free with any TV package that includes DVR. The YourTV app is linked to your DVR, so you will need to call us at 419.942.1111 or email info@wabash.com to have it activated on your account.